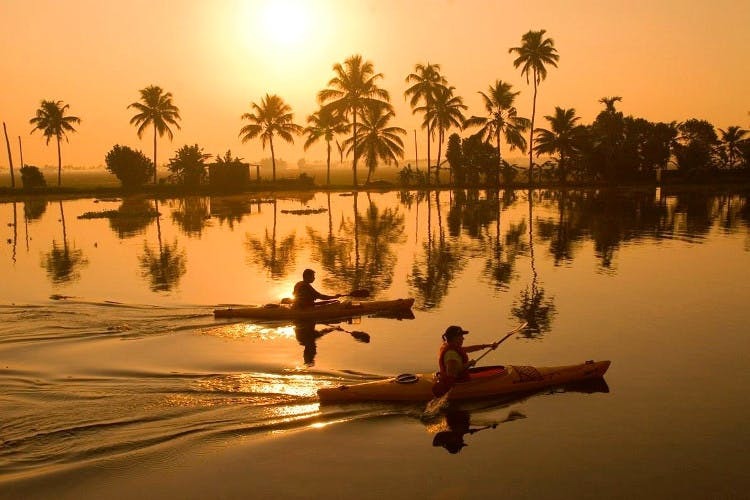 Within 100 KM from Hyderabad, Kotapally Kayaking Reservoir abounds in water activities like kayaking, boating, canoeing. If you are heading to Vikarabad, you cannot miss this one. Adventure lovers, you don't have to travel too long to quench your thirst for kayaking. The Kotapally Reservoir in Vikarabad arranges plenty of water activities and you can head out there for your share of a kayak. Raft in the lake all you like and explore the surroundings when you're done. Several food stalls are set up around the lake and you can indulge in some roasted corn after a strenuous water activity. But you can also picnic at the lake by carrying your own snacks and eatables. You can trek to Ananthagiri Hills or sign up for more activities and stay at Deccan Trails. The government is planning to provide more facilities for the travelers at the lake, but if you're looking for a day-trip over the weekend, this is the best way to unwind. While one can reach Kotapally and book the activity, it would be more convenient to have an online booking option.